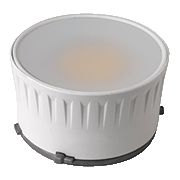 Ideal for use in recessed and surface mounted spotlights, its unique electrical connection prevents the retrofit of high energy consuming halogen products. 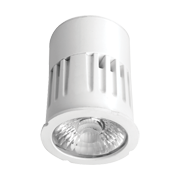 The MEGAMAN®'s TECOH® CFx range of high performance twist-lock LED Light Engines has an integrated driver for general lighting. Thanks to the unique design lumen packages up to 2000 lumens are achieved while ensuring compliance with Zhaga interface Specification Book2.